Key Data on Early Childhood Education and Care in Europe aims to provide insights into what constitutes high quality early childhood education and care through policy-driven and internationally comparable indicators. 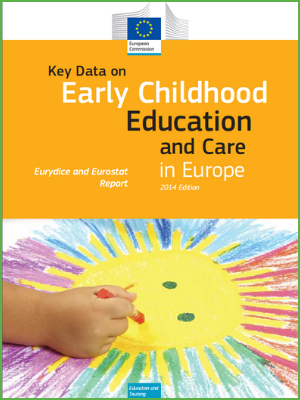 This European Commission report, published jointly by Eurydice and Eurostat, combines statistical data and system level information to describe the structure, organization and funding of early childhood education and care in Europe. The report covers issues essential to policymakers, such as, access to ECEC, governance, quality assurance, affordability, professionalization of staff, leadership, parent involvement and measures to support disadvantaged children.